There are two kinds of people in this world: optimists and pessimists. Optimistic individuals are happy and look for the good in every storm. Whereas, the pessimistic individuals are those who complain about the wet weather, the cold breeze and the dark clouds. Attitude is contagious and the attitude of those around you will rub off, which is why it is crucial you surround yourself with happy and optimistic individuals. 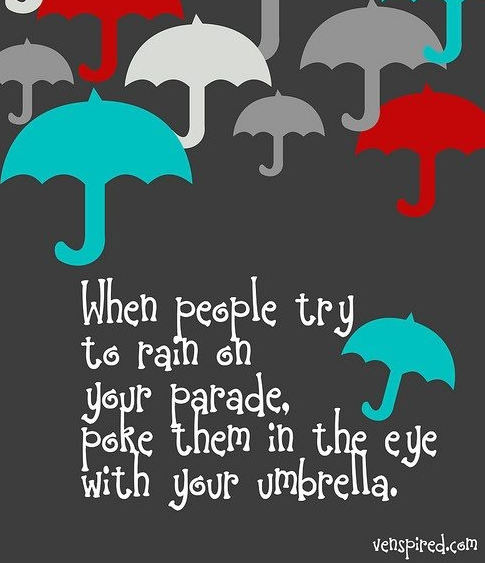 But if you do associate with those who are gloomy and depressed, don't let them ruin your day. 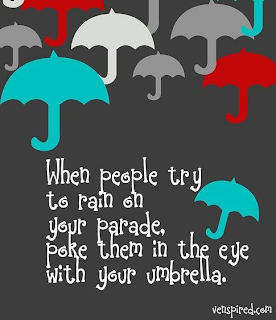 Give them a good poke and try to rub your good attitude onto them. This great pin on Pinterest is shared by Ginny Janning, via Amii.